The Savage Warrior Leather Tassets are a fearsome addition to any light combat armour kit. Displaying 3 plates backed with a piece of faux fur to match the Savage Warrior Leather Armour (DK5014), this armour protects your upper legs. Hand crafted in our shop from 8/9 ounce leather, these tassets are finished with antique brass hardware. 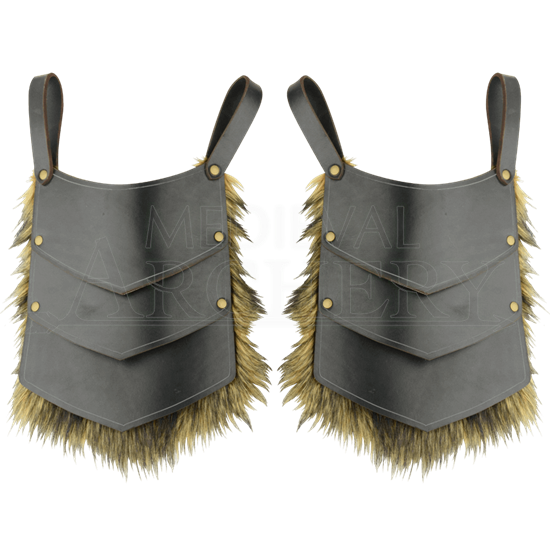 Both the leather and faux fur trim are available in a variety of colors, allowing for individuality in this design to match your other combat gear. The faux fur is available in white with specks of black, brown with black tips, or all black. Each leather tasset has two loops to hang from your belt up to 3 inches wide. 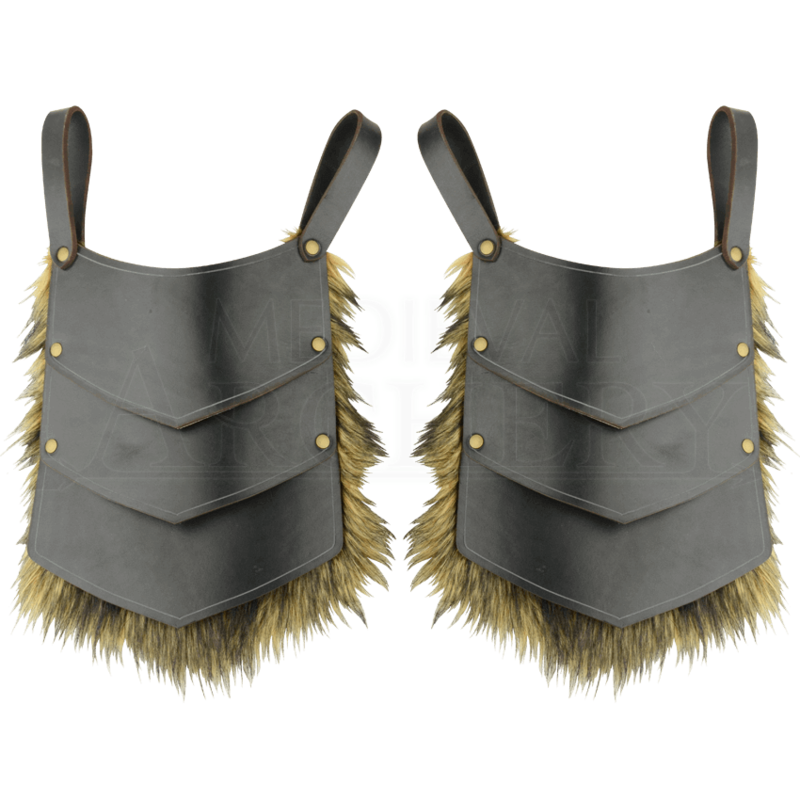 Practice your most harrowing battle cries as you suit up with these Savage Warrior Leather Tassets, and your enemies will tremble in their boots.